Love Coconut? Delight in southern tradition with this great tasting easy to bake recipe. Velvety smooth and not overly sweet this delicious pie is sure to be a crowd pleaser. Bake frozen pie crust at 400°F for 10 minutes, or until crust is golden brown. Meanwhile combine sugar, flour in a large bowl; stir in eggs, blend well. Stir in coconut and next 3 ingredients, blend well. 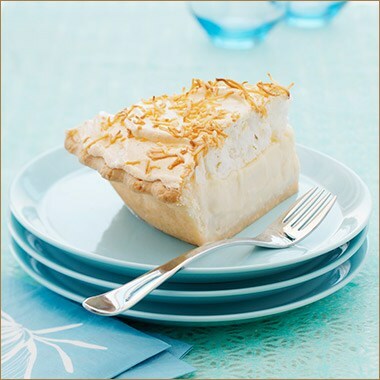 Pour coconut filling into crust and bake for -50-60 minutes or until pie is set.